Fogscapes® and fog effects for Palm Springs, Cathedral City, Rancho Mirage, Palm Desert, Indian Wells, La Quinta, Indio, Bermuda Dunes and more! Home > Fogscapes® and fog effects for Palm Springs, Cathedral City, Rancho Mirage, Palm Desert, Indian Wells, La Quinta, Indio, Bermuda Dunes and more! 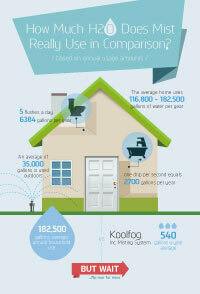 What many people don’t know is that Koolfog also produces visual fog effects for residential and commercial clients. Imagine adding a stunning visual effect in your backyard or enveloping a commercial water feature in fog. Our state of the art fog nozzles allow for fog effects to mimic characteristics such as smoke, dense fog, precipitation, and soft landscape mist. 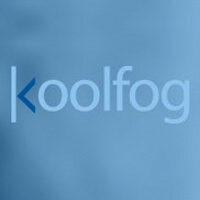 Koolfog fog solutions are used to highlight architectural elements and focal points such as fountains, ponds, and pools. In addition, water fog systems are used to produce low lying fog or a background for waterfall and lighting displays. Fog mist systems are installed as privacy screens or barriers for estate homes, resorts, VIP areas, cabanas, and spas. Fog also provides residual cooling. So there are more benefits to adding fogscapes® to your outdoor setting when temperatures start to rise. Not only that, but the same high-pressure misting pump that is used to drive your outdoor cooling system can be extended to create those high-pressure, pure water fog effects.